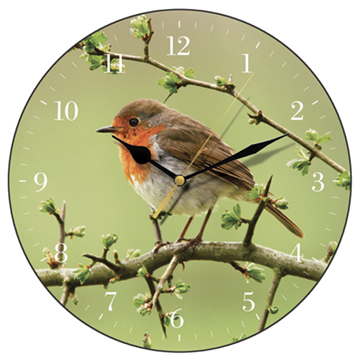 A contemporary novelty wall clock featuring the remarkably gorgeous Robin. A beautifully designed wall clock with the stunning image of wild birds. 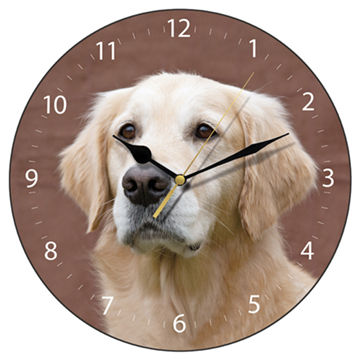 One of a range of distinctive wall clocks with designs ranging from antiqued French style traditional clocks to those with timeless images of adored family pets or those that capture the great joy of garden flowers and birds.